Rails has lots of solutions for background jobs. One of these is a brilliant Gem called Sidekiq, which we have written about before on Sitepoint. If you are not a Pro user ($750 per year) and your process crashes, you will lose your jobs. If your job load increases, you will need a more powerful version of Redis which costs more money and resources. You need to host its dashboard in order to monitor what is happening with your jobs. Another approach you may want to consider for processing queued jobs is Shoryuken, which works in conjunction with Amazon’s SQS (Simple Queue Service). This is a basic store of messages that you can process later via Shoryuken workers. These workers then work outside of the main Rails processes. With SQS and Shoryuken, you create a queue for your workers to use and these workers cycle through the jobs until the queue is empty. It is built with Amazon SQS in mind, which is incredibly cheap ($0.50 per 1 million Amazon SQS Requests). SQS is built to scale. You are taking advantage of Amazon’s amazing infrastructure so it’s easy to scale your workers. 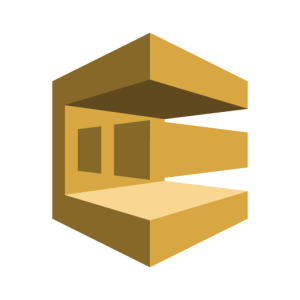 Amazon provides a simple console to watch your queues as well as configure what happens to dead messages. Amazon’s Ruby SDK is very flexible when it comes to creating queues. You can create as many as you want. In this article, I am going to guide you through setting up Shoryuken for use with the Flickr API. You will see how Shoryuken processes jobs in the background at lighting speed. To begin this tutorial, we are going to use the Flickr API to create a simple search bar where we can generate photos based on whatever id is entered. Click the Create an App link on the Flickr docs page. Apply for a non-commercial key at Flickr.com. On the next page, you will be asked to enter some details about your project. Simply fill in the name and other bits about your project. You’ll receive a Key and Secret for your application. Write these down somewhere because we will need them for this tutorial. First, we install the flickr_fu which makes it easy to grab the data we want. Flickr ids are present on user profiles in the URL. An example ID is 138578671@N04 and if you submit that value in the form, a bunch of photos are returned. Now we have a functioning application that gets new photos from Flickr. This is awesome, but it is very slow for the user and it refreshes the whole page each time. Okay, so it’s cool, but we still have not used Shoryuken. The process is still single threaded. Click on the “My Account” dropdown menu and then click “AWS Management Console”. Sign in and then you’ll be taken to the AWS Management Console. In the top right, click on your user name in the menu bar and then click on “Security Credentials”. Click “Create New Access Key” and take down your Access Key ID and Secret Access Key. You need these to run Shoryuken and SQS. Make sure to replace the credentials with your actual credentials. If we go to the SQS console, we will see a new queue created if you restart your Rails server. Now we just submit another message. This time, you should see it appear on the SQS console. You may need to refresh the SQS console using the refresh button which is in the top right of the screen. Now you should see you worker cleaning out the queue. When you go back to your app, you will probably see an error. Remember, Shoryuken runs in the background so it cannot create instance variables for your current process. You could save the photos to a database and then poll the table when the results arrive. If everything looks OK, we need to migrate the database. To see it working in action, add a delay to your search controller action to give your database a chance to update. In the real world, I suggest a more elegant solution using AJAX. There you have it. You now know how to take advantage of some awesome libraries for processing queued tasks with Shoryuken. While this example is very contrived, I used it to demonstrate how to use Shoryuken with SQS. No doubt, you probably have at least one use case that would benefit from queued messages. William is a self-taught Software Developer who went from a job he hates to a job he now loves. As well as writing about himself in the 3rd person, he breaks down exactly what you need to do if you want to get your first job as a software developer on his blog and newsletter.